The best advertising lies with the perceptions and proclamations of the clients we have served well. Ratio: One interview–one job offer, 100%. You are the best resume writer in the business Nadine! I must say you knocked it out of the ballpark with my resume! After 2 phone interviews, 4 interviews with management, and 1 final interview with the regional director, I have accepted an offer with Genentech! Working with you to create my resume was an absolute joy. I wondered how someone who did not know me would be able to tell my story on paper. After spending two hours with you on the phone, you understood my body of work and how my achievements, projects, and initiatives wove the story of who I am. I received feedback from the interviewers saying that my resume aligned beautifully with my spoken word. I have you to thank for that! I have already passed your contact information on to two different friends. You are wonderful!! Your resume and cover letter writing skills are awesome!! After only two weeks of sending out my resume I have gotten an interview for Assistant Director of Business Management! This was exactly the type of position I had been eyeing. Thank you again Nadine, I would highly recommend you to family and friends!! Nadine, I would like to thank you for assisting me with the resume and test questions for the promotional exam process for Sergeant for the County Sheriff’s Department last summer 2016. I got word yesterday from the Undersheriff that I will be promoted in 2017 and start my new assignment that same day in the Patrol Division, I couldn’t have done this without your assistance. Thanks again for your assistance in putting this together for me! You made this intimidating process so seamless and inspiring. I look forward to sharing what I have to offer with potential employers with a renewed sense of confidence! I will let you know how my search progresses, and will refer you to others in need of your services. Wonderful job on the resume! Very helpful and in hand so quickly. Every penny was worth it. Nadine does a fabulous job of taking all my eclectic experience, distilling it, unearthing the gems, polishing the diamonds, and giving me a focus — thanks so much Nadine you are a lifesaver! I hired you a little over 3 weeks ago to update my resume, since I lost my job of nearly 10 years. Since then, I posted my new resume on Careerbuilder and had more than 50 views within a week. The work you do is incomparable to others. I was hired today with a reputable company. I have so many thanks to give you! Wish I could give you a big hug! I reviewed everything you sent today. I am almost in tears, it is so true to me. You have a gift. My inherent humbleness does not reflect at all in this. It gives me more confidence on who I really am and what I have accomplished throughout my career. I can’t thank you enough. And I will forever recommend you! I would like to take this opportunity to personally “Thank You” for orchestrating a masterpiece. The word “Composer” Latin com+ponere, literally means “one who puts together” you my friend are a Composer of words. My résumé is a 21st century concerto. I can honestly say that I am very proud of my “concerto”, and I can’t wait to release it to the audience so they may come to know and learn my education, skills, experiences, accomplishments, and job-related interests. I wanted to let you know that I have been invited to many interviews and have 2 offers on the table right now! So thank you so much! I really feel like the resume has helped and it has been a main reason why I have gotten many of the interviews. Thank you for helping me understand the value of my experience in a way that translates into marketable skills to an employer!! I will surely recommend you to anyone seeking help. Nadine is an excellent writer who can help revitalize your resume with the phrasing recruiters look for. But what was more important to me, she is able to identify your strengths and narrate not only your professional history, but also where you might be heading. Nadine Maas is that rarest of thinkers: Highly creative and knowledgable. Working with her is a wonderful collaborative experience. She asks the right questions that defined my accomplishments and accolades. She has the talent to convert my words and technical terms into a superior, professional product. She has the ability to see both the big picture and the tiny details that need to happen to accomplish an amazing final product. Nadine wrote an outstanding document that showcased my skills in a format that stood out from all others in search of employment. Just wanted to let you know that in the past week my son has been asked to interview at two major hospitals and was also just offered a position with a leading orthopedic group. He has been sending out his new resume and cover letter in reply to current job postings. One of the groups had 80 applicants for one position but they fixed their attention on him. Bottom line: your expertise in writing his resume and cover letter was exactly what he needed! His thoughts about finding another profession have disappeared, and he is so encouraged by the positive responses he has received. I truly cannot tell you how much this means to our family. So, again, thank you, Nadine. You made the difference he needed! Nadine, I had to call and tell you that I got wonderful compliments on my resume during my interview today. They said it was the best resume they had ever seen. They felt it was well written and made a point to tell me more than once how impressed they were. I just wanted you to know. I wanted to thank you for all of your advice. I got the right job for me about 3 months ago. It is what I wanted for a long time. It is still unbelievable to me. I have filed your info away for my next move and given your info to a few friends who get out of grad school in May. I hope they do take my advice and call you. I am writing to say a very big thank you for your help in getting my resume rewritten and polished up. You were so enjoyable to work with and turned around a masterpiece in two days. It was one of the best investments I have ever made. When I began applying for jobs with the new resume and cover letter you helped craft I immediately got called back and was able to land the interview and get in front of some hiring managers. I was able to land a new job as a technology Sales Manager as of Sept 12. I started the job Oct 10th. It has been a wonderful experience with an outstanding company. I just wanted to follow up with you and say thank you again. Please feel free to use this testimonial with my name on your website to further convince future clients of your talents. Just wanted to let you know that I recently accepted a new position with a Fortune 50 company and I will begin in September! Not only did I obtain at least an initial interview for virtually every job I applied for after you helped revitalize my resume, I ultimately ended up being offered a position two steps up the ladder from where I currently sit on the chain of command! I have been touting your process/service and will continue to do so moving forward. I would be happy to provide a written testimonial as well. I wanted to send you a quick note to say ‘ Thank You’ for the resume you created for me this past August. I have just recently acquired a new position in the Minneapolis Area and the initial interview I was able to establish was based, as the interviewer stated, strictly on the quality of the resume I submitted. Upon accepting this very desirable position I was told that in excess of 300 candidates initially applied and of all of the resumes that were received mine was ranked by my now employer as one of the top three they had received. This is a very positive distinction and I wanted to make sure that you were aware of the impact your work had on my job search. I made the determination last August just prior to contacting you that I wanted to transition my Sales/Sales Management background into a new industry. I interviewed extensively throughout my search as I carefully considered each position and whether or not it was the proper fit for me. I would safely estimate that I was able to secure 2 interview each week over the course of five months. As we all know, every interview is very different from the last, but the one thing that was consistent at each and every meeting were the very positive comments that were made about the quality of my resume. Looking back I can honestly admit that the very professional document you created allowed me to very easily acquire the greater majority of the interviews I participated in. I very much appreciate the significant contribution you made to my career. Thanks to your work I have acquired a position that I know will provide me with both professional and personal satisfaction for many years to come. I just wanted to drop you a quick note to let you know I have landed a new job! The impact of your communication assistance with re-tooling my resume and articulating a cover letter strategy was outstanding. I secured an interview with the very first company I sent it to, which ultimately led to 5 more interviews within the company and a job offer as Director of Corporate Marketing. Thank you so much for all of your help. Please feel free to use me as a reference. I couldn’t be a more satisfied client! Hi! I just wanted to let you know that I have landed a job in the direction I was hoping! In tweaking my resume to reflect my background in teaching, I have been hired as a 3rd grade classroom teacher. I am very excited! I applied in only two school districts and my application went to the top of both systems. I am sure it is largely due to the fact that my resume was so professionally done! 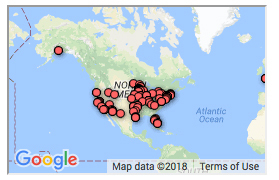 I had calls for interviews within 12 hours of submitting my applications to these school systems. The entire process took less than three weeks from submitting my application and resume, to receiving interviews, to being offered a job! Thank you so much for your assistance! It was a pleasure working with you. Just wanted to let you know! Have a wonderful summer! 2nd one sent. I had 2 interviews and a job offer within 2 days. I am staying in the hearing industry. Thanks again for the great resume. A recruiter made the comment, the resume got her attention & kept it all the way thru to the end. I just wanted to thank you for your help with my resume. I have been working for two weeks now in a new position, and I am going on another interview this upcoming week for another position that pays quite a bit more and is closer to my home. I have had at least 6 call-backs on the resume alone and five interviews since you helped me. Thank you so very much!!! I will recommend you to anyone and all that need help with their resume!!! I wanted to thank you for creating an excellent resume and cover letter for me. I ended up landing a internship at Wagstaff Worldwide PR in Chicago! I love it and I believe that my resume and cover letter was a key factor. I have totally reccomended you and will continue for future resume seekers. I wanted to let you know that I have been offically offered a team leadership product development position here at 3M. I absolutely believe that it is because of your help and wonderful resume! Thank you so much for your time and help and patience while I tried to explain my strange career path. I am so happy with the results you may absolutely use me as a reference if you would like. I just wanted to thank you again for the fantastic work that you did with my resume. I have found a job, but I also received two other offers out of eight places that I applied to!!! Of those eight places, I heard back from seven, and interviewed with three. I was told by nearly everyone that I spoke with that my resume was extremely detailed and well written!!! I will certainly be in contact with you when it’s time to make the next updates, and I will also recommend you to anyone that I know that is in need of a top notch resume. You really can’t underestimate the confidence that you feel applying for jobs when you know that you have a wonderful resume!! Thanks again for helping me to make this happen so quickly and for being such a pleasure to work with….and again, you will be hearing from me when it comes time to update the resume again!!! Thanks to your help, professionalism, and great advice, I managed not only to jump rivers, but oceans! Coming to the United States with no work experience and managing within a few months to get two fantastic jobs after having sent only 3 resumes was unbelievable, but indeed true for me! I was first blessed that my husband found your ad, but I was even more lucky to have you help me as you did! I would never have been able to write my resume the way you did. And the result is here! I got the job of my dreams! Thank you so so much. I will certainly come back to you if ever I need help in the future. Even though I’d often been asked to write or review resumes of friends and colleagues, I found writing my own resume to be a great struggle! I was delighted to find Nadine, who so eloquently brought my experiences to paper. Thanks for the wonderful resume you prepared on my behalf. I am sure I would never have gotten the interviews with my own version. Please feel free to use me as a reference because I would love to have the opportunity to tell others about your work. Thanks for everything! After 50 unanswered letters with my old resume, I was referred to you and finally got the results I was looking for. Thank you for your help. I have recommended you to two of my associates in Orlando. Nadine, I just got a $16,000 dollar pay raise and didn’t even have to leave my job to do it! Here’s what happened When you prepared my resume, I got an interview and an $8000 income offer from a competitive company. When my home company heard about it, they countered with $8000 above the competitor’s offer, and I got to stay with my own company in a new capacity with a $16,000 pay increase! Thank you. I am a believer. Thank you for helping make a successful transition from the military to a civilian management position. Nadine, as you know when I came to you, I had sent out over 50 letters with minimal results. After doing a resume with you, I got two interviews with 5 letters and a great job. Wanted to tell you that the last time I sent out resumes, I sent out 5 of my own first, and got 2 maybe calls and nothing that amounted to anything. Then I had you write my resume and of the 3 cover letters and resumes we sent, I was 3 for 3. I got job offers at all 3 and a great job with one of them. Needless to say, you have a customer for life. I don’t mind a bit driving in from Iowa for these kinds of results! Nadine, the business letters you have written for me have literally saved me thousands of dollars. Your masterful use of business psychology has helped me to develop fair business solutions. You can be my writer for good! The writing you did on my menu made my restaurant look wonderful. I thank you so much for the written image you have created for me. Just wanted to tell you that I am receiving the highest compliments on my resume. I received a fantastic interview with a company I feel very excited about. The first ten minutes of my interview were spent listening to my interviewer praise the quality of my resume. She said she had never seen one of this quality and professionalism and was very impressed. It certainly set the stage for a warm and connecting interview. I feel confident that an offer may soon be forthcoming and I feel that my resume and cover letter helped me every step of the way. Thanks. Nadine, it has been wonderful working with you. You helped me get the job I most wanted and if you ever need a referral, I would be pleased to tell anyone about the quality of your work, and the way you helped me articulate the best of what I do. Thank you very much for your excellent service. The style and method of preparing your resumes and cover letter was instrumental in landing a very good job. I just had a fantastic interview in the very field I wanted so much to work in. They were so impressed with my resume and experience that they are willing to invent a position for me! I am so thrilled with the results of my first try and would unhesitatingly recommend you to anyone! I’m 100% for interview ratios. One letter, one interview, and one tremendous job with a great company that loved my resume. Thanks so much for making me look so good! I sent out 5 of my home made resume and got minimal results. Then I had you write and send 3 resumes and cover letters for me. Results: Three interviews, three job offers, and a great job! You have won this customer for life! Wanted you to know that my partner and I both got the promotions we worked so hard for thanks to you. And your interview strategies and high-quality presentation helped me earn a 90% rating and the promotion! Thank you for everything. I finished number 1 and start as a Lieutenant September 1st. Best Wishes. Nadine, the resume you prepared for me got me out of the foundry I was working in and into a job that has truly changed my life. You not only wrote a beautiful resume‹you helped me think of the special things I had to offer and gave me back my self esteem. My wife and I would recommend you to anyone! Randy got a great job and I had 8 offers and a received a great position. That’s why I keep sending you all my friends! I received 6 interviews for the seven cover letters we sent out, Nadine and from those interviews, I received three job offers. So as you can see, my percentages are great. Thanks so much. Just wanted to report that out of two cover letters, I received two interviews, one job offer, and accepted a position that allowed me a 50% pay raise! Wow was my resume worth it! Thank you. I’m jumping up and down and couldn’t wait to tell you my results! The expression on my interviewers’ faces when they see my resume, says it all. Great interviews! Great position! Thanks for your encouragement and professional help. I am writing to thank you for the excellent job you did on my resume. As a writer myself, I wasn’t certain at first about spending money to enlist your help, but I am certainly glad I did. And now that so many doors have opened as a result, I view it as a real investment in my career. Thanks you so much for your patience, guidance, and professionalism‹this marketer has certainly learned an important marketing lesson! I found our two coaching sessions very helpful. It gave me much confidence. And now I have great news. I accepted a new position. Thank you SO much for your help. If you ever need a reference, please use me.